When you’re shopping for your next pre-owned vehicle, you need to find the value you want at our dealership of Joseph Airport Toyota. We offer a large selection of pre-owned vehicles for you to choose from so that you can get where you need to go around Dayton, OH. Come in and let our team help you find the one that will meet all of your needs today. If you want the ability to get the most for your money, you need to check out our selection of pre-owned vehicles today. We have a large selection that you can choose from so that you can drive away with the vehicle that checks off all of the boxes and will provide you with an excellent drive every day. Whether you’re looking for a model that will give you a thrilling drive or you want one that can offer you specific features or comforts, you can bet we’ve got what you’re looking for. Stop by and see our available selection of pre-owned vehicles, then take them out on the roads for a test drive so that you can find your dream car. Which One of Our Pre-Owned Vehicles is Right for You? Do you need a car that can handle your daily commute? If so, you may want to take a look at the sedan models we offer. Are you searching for a truck to help you haul the load? We’ve got an excellent selection for you to choose from. Do you want to enjoy the versatility of an SUV for the roads in your area? Check out the variety we offer. No matter what you’re looking for, you’re going to find it at Joseph Airport Toyota. What makes our dealership the right place for you to shop? It’s simple. It’s our team. You’re going to realize that shopping with us is the right choice. That’s because we have a great selection of pre-owned vehicles at every day low prices. We have a friendly staff that can help you find the right pre-owned vehicle that you want to drive so that you can experience the quality ride you’re looking for. Choose the model that you want and start driving it around Dayton, OH today. With our team by your side, you’re going to have the expertise you are looking for and our knowledgeable staff is standing by to serve you. Once you find the right vehicle to take home with you, you need to ensure you have the deal that makes the most sense for you. We offer a large number of flexible financing options to make sure you get the reliable vehicle you need while sticking within your budget. Make your way to our dealership today and choose the pre-owned vehicle that will fit your family’s lifestyle and needs. We have the service, the selection, the team, and the financing you want when it’s time to find the next pre-owned vehicle for you and your family. With spring in the air, are you ready to head outdoors? Imagine the warm sunshine on your skin and the smell of cherry blossoms in the air. 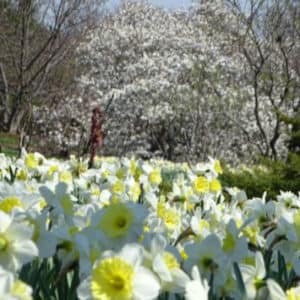 Why not take the pre-owned vehicle that you find at Joseph Airport Toyota and head out to the Cox Arboretum Metropark for a dose of fresh air? 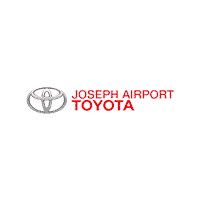 When you choose a pre-owned vehicle from Joseph Airport Toyota, you get the peace of mind from our YES Plan, knowing that you are always covered. Go anywhere in your pre-owned vehicles and seize the day!